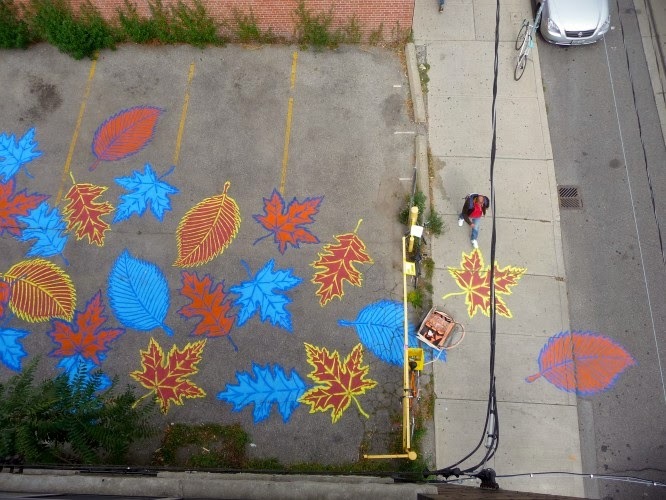 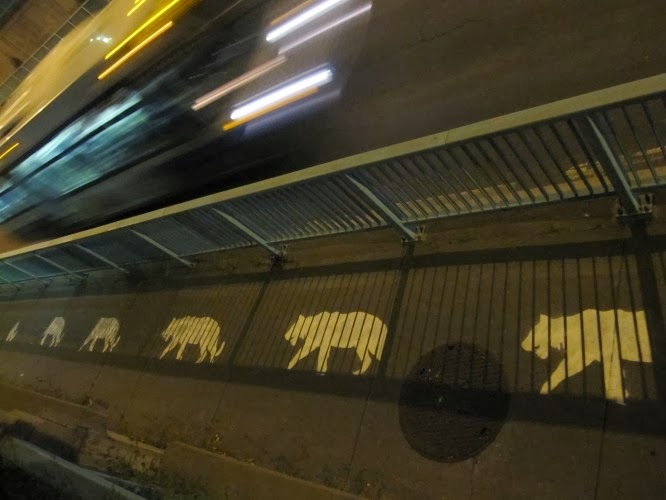 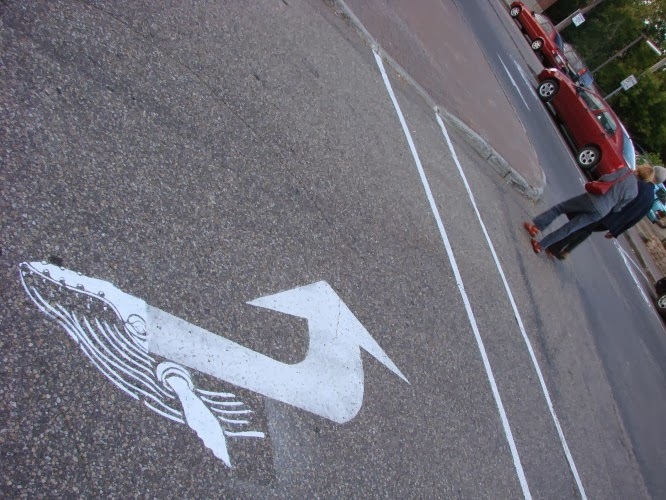 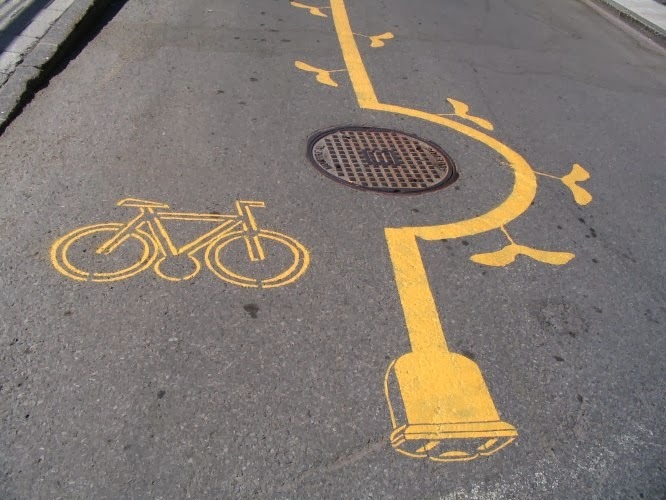 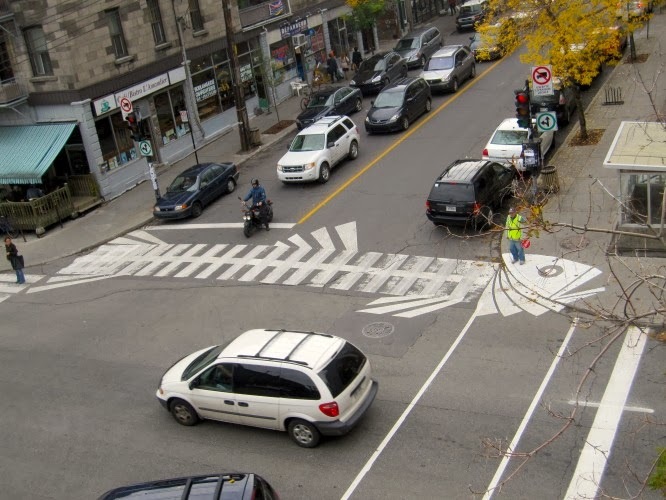 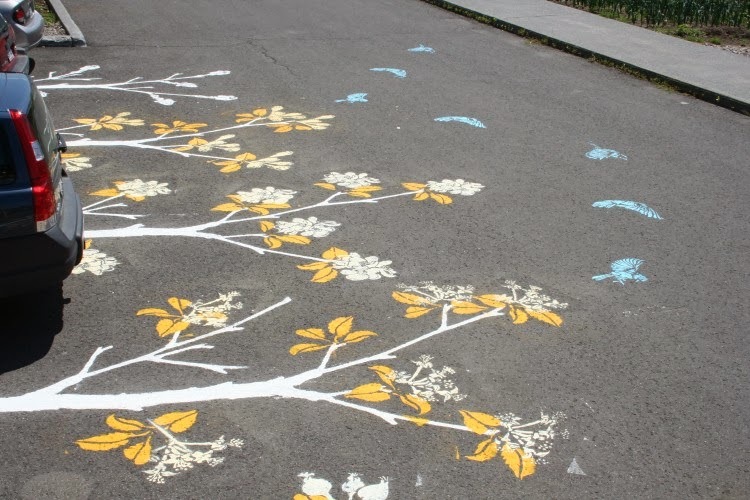 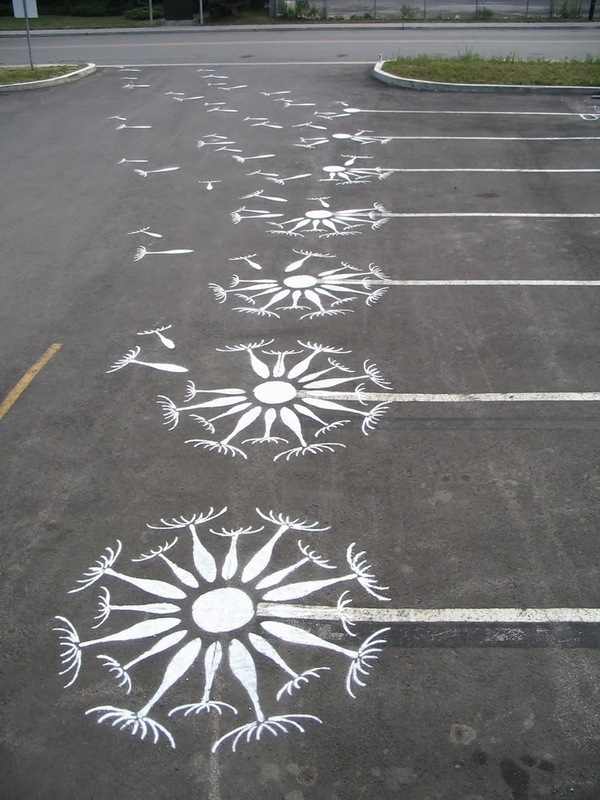 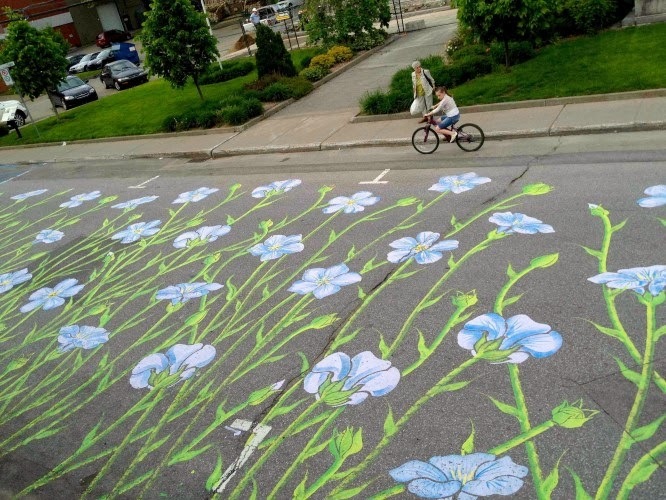 Montreal street artist Roadsworth tries not only to beautify the urban landscape, often by incorporating existing street markings, but to also make a statement about the illusory urban disconnect from the natural environment. 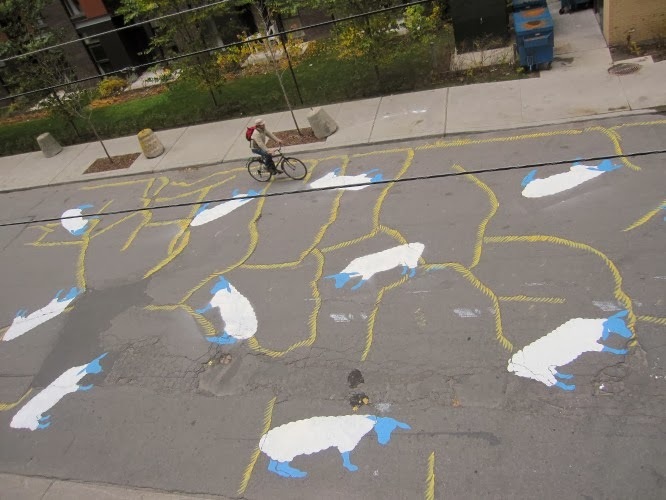 his (literal) street art is both a reclamation of a public space that as cyclists and pedestrians we are taught is dangerous, and a response to the primacy afforded to a car culture that largely dictates the planning of this public space. 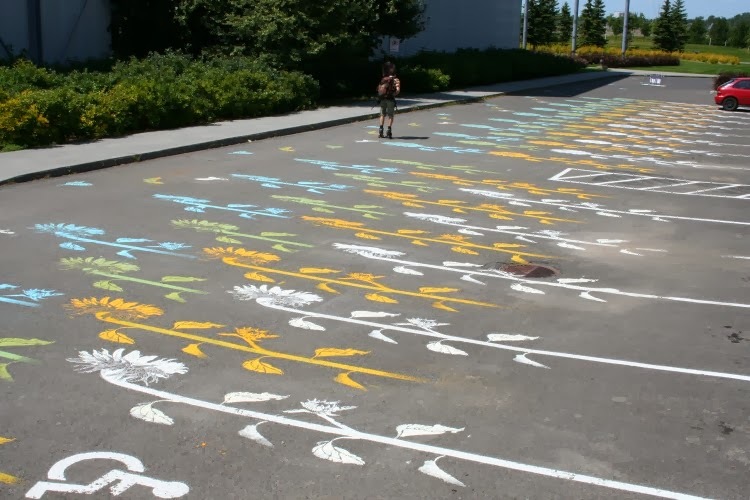 for his efforts, roadsworth was charged with 53 counts of mischief in 2004.